Not long ago, I wrote about my childhood scar about my knee. This morning my son fell down as he was running. It hurt so much that he couldn't bear the pain, both knee with cuts and bloody. Dear said bring him over to clinic nearby to let doctor treat him. Hope he remembers that don't run, no matter the distance is short or long. Look at his scar reminds me of my scar, same left leg but different incidents. Mine was fall down while running down the hill to chase the school bus. He's lucky he gets to see doctor, during my childhood I forgotten if I saw doctor. But I remembered having my left knee injury over and over again same spot when it's almost recovered. I can even touch my own flesh, it was skin deep injury. OMG it looks so painful to me! 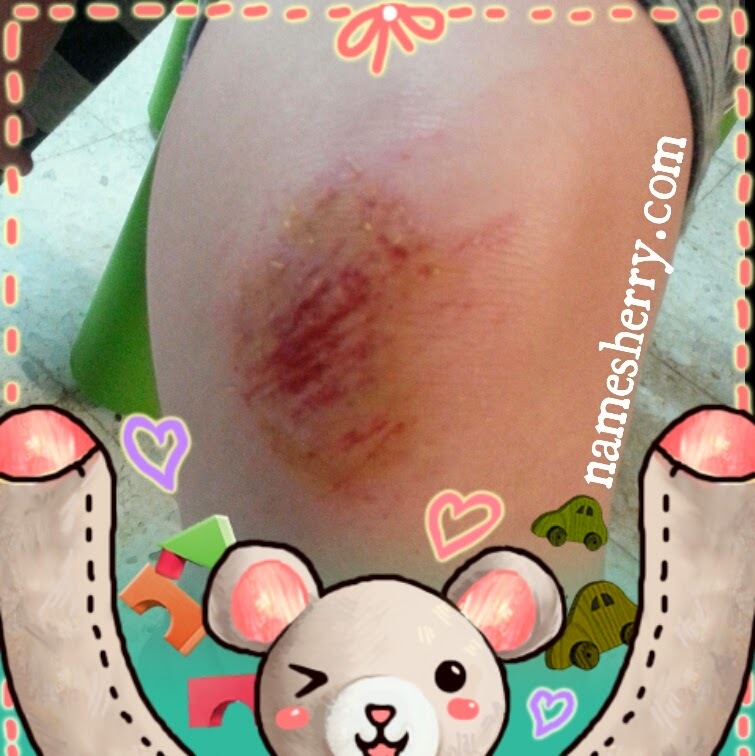 I remember I fell down so often when I was a child. yeah, our childhood memory. Now he's still young he would remember don't run just walk. bio oil, does it work?